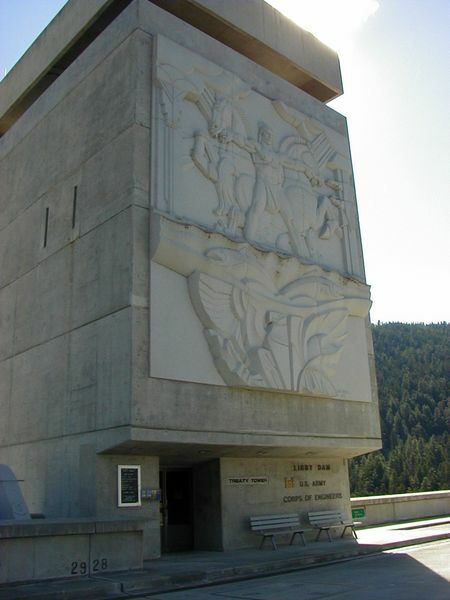 Completed in 1972, the 422-foot tall Libby Dam holds back 90 miles of water in Lake Koocanusa in northwest Montana. Libby Dam Project is a multi-purpose water resource development. Its purposes are flood reduction, hydropower, recreation, and environmental stewardship. 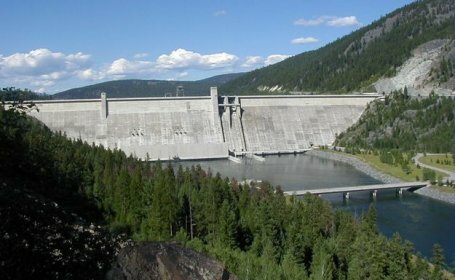 Lake Koocanusa was named for the treaty that was developed between the Kootenai Indians, the Canadian government, and the U.S. government to build the Dam and form the reservoir. The visitor parking area and boat ramp is open 24 hours a day, seven days a week during the summer. Lake Koocanusa area offers many recreational opportunities for fishing and boating.